Sam Bruce is a Manager in the ‘CSIRO Futures’ group, the strategic advisory arm of Australia’s national science agency. In this role, Sam sits at the interface between research and industry, where he leverages the deep expertise of CSIRO’s research professionals to help Australia’s largest companies and government ‘translate science into strategy’. 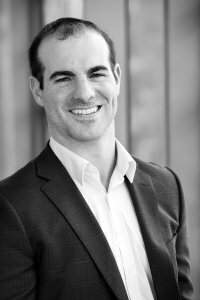 Prior to joining CSIRO, Sam worked at Ernst & Young, providing commercial and financial advice to private and public sector entities across a range of different industries. Subsequently, he worked as a senior investment analyst at Infrastructure Capital Group. Sam is a qualified lawyer, having been admitted to the Supreme Court in 2013. He holds bachelor degrees in Law as well as Science, where he specialised in Chemistry and Applied Mathematics.